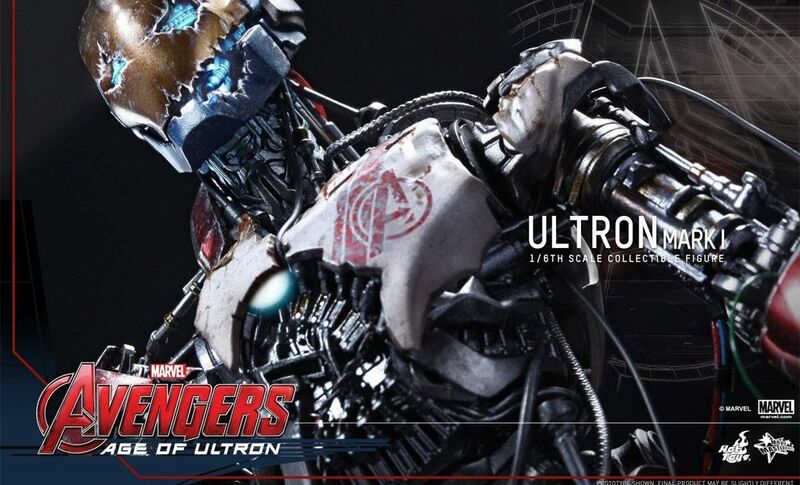 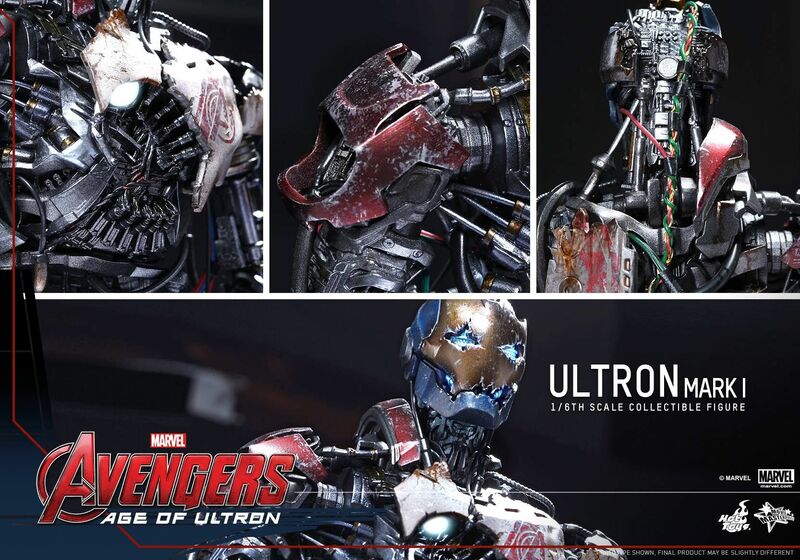 The much anticipated Marvel’s Avengers: Age of Ultron will soon hit theatres worldwide, Hot Toys is excited to continue the waves of highly detailed and movie accurate collectible figures from this super blockbuster. 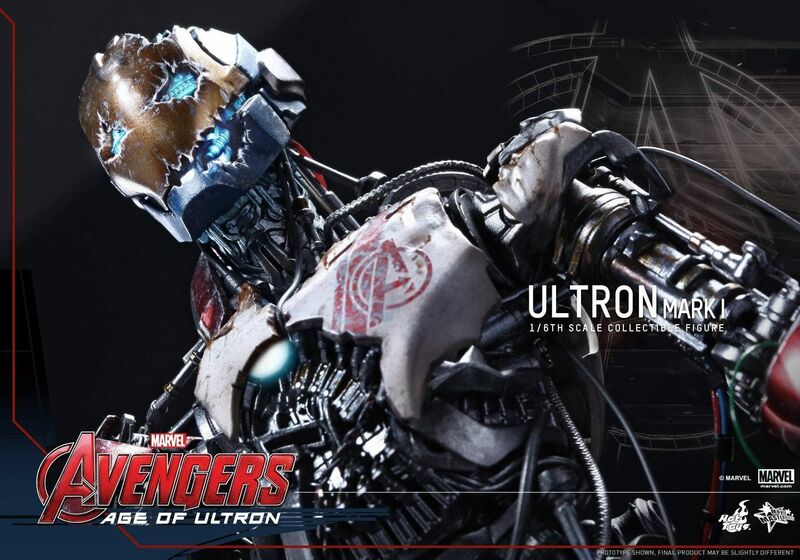 In addition to the return of Earth’s mightiest heroes in this sequel, the titular villain Ultron has been a widely discussed character among fans! 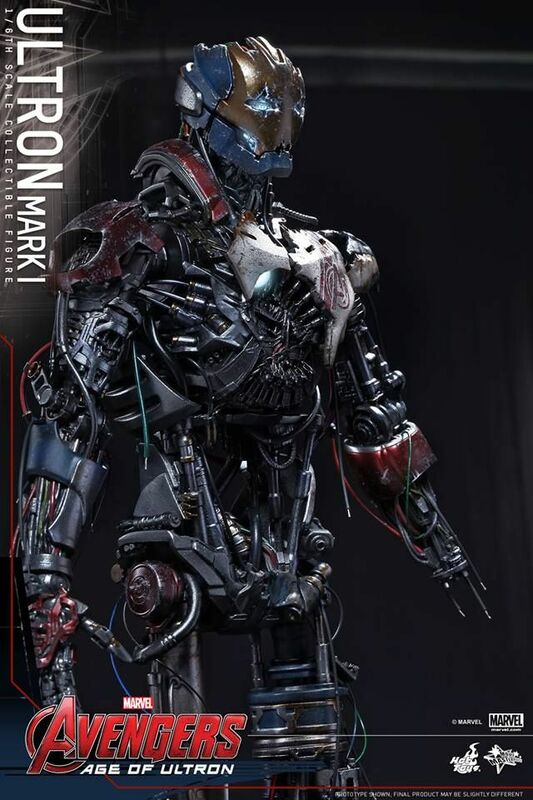 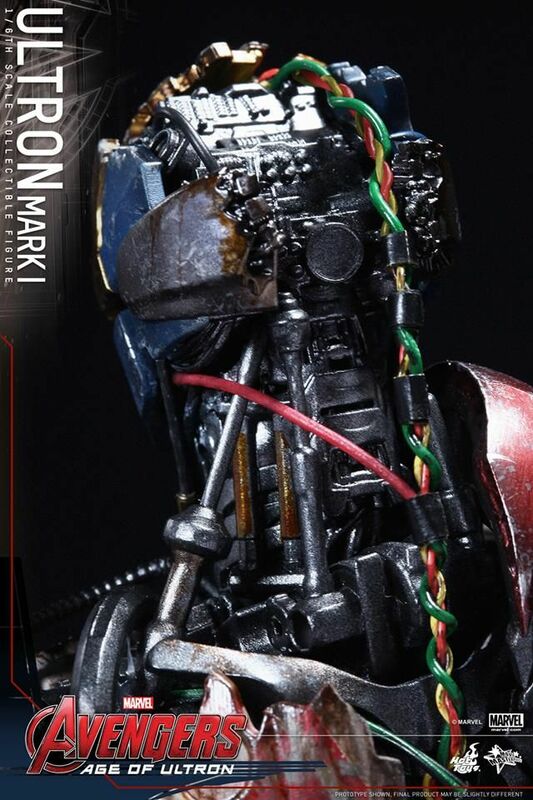 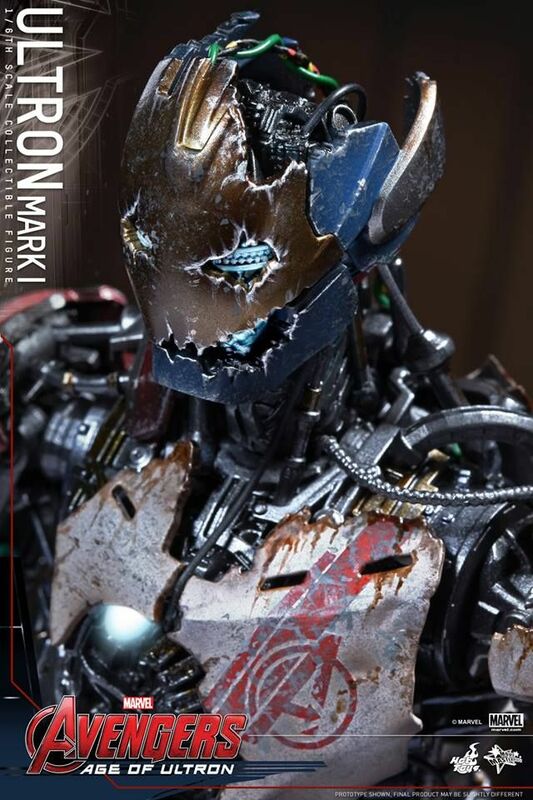 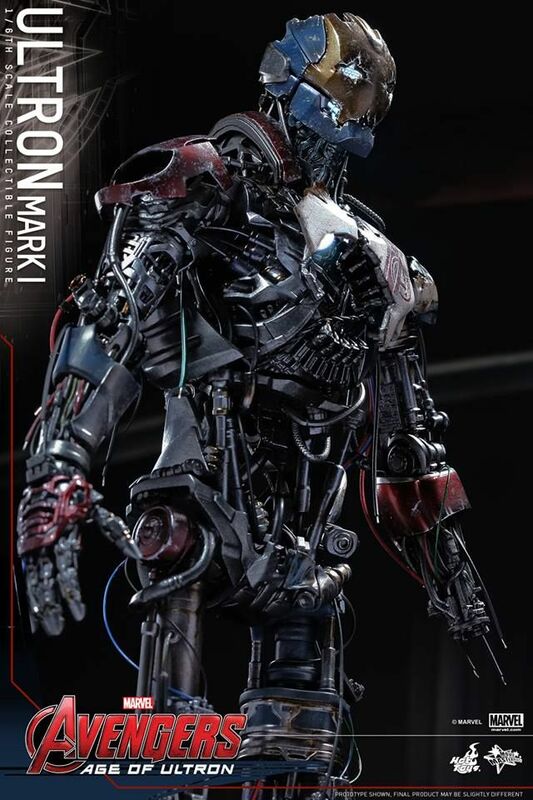 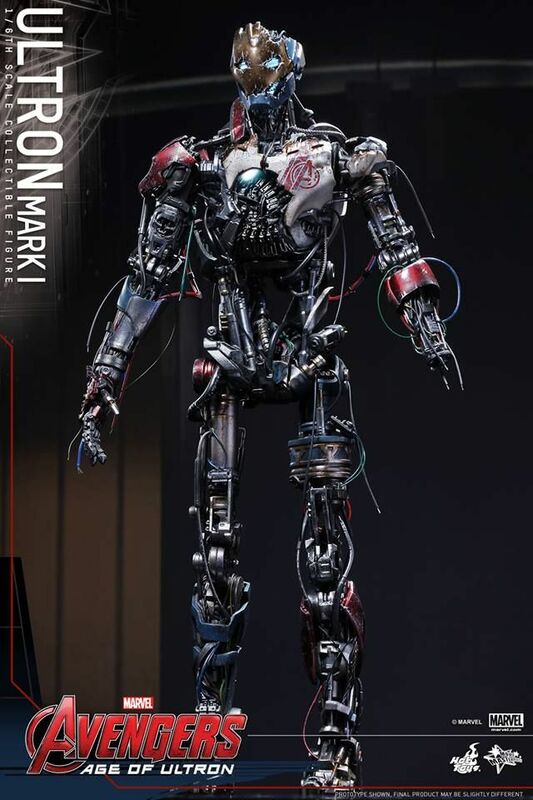 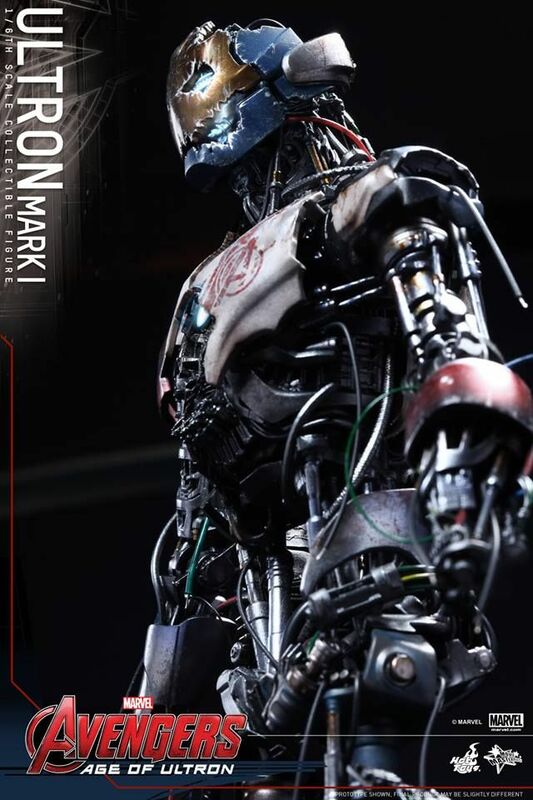 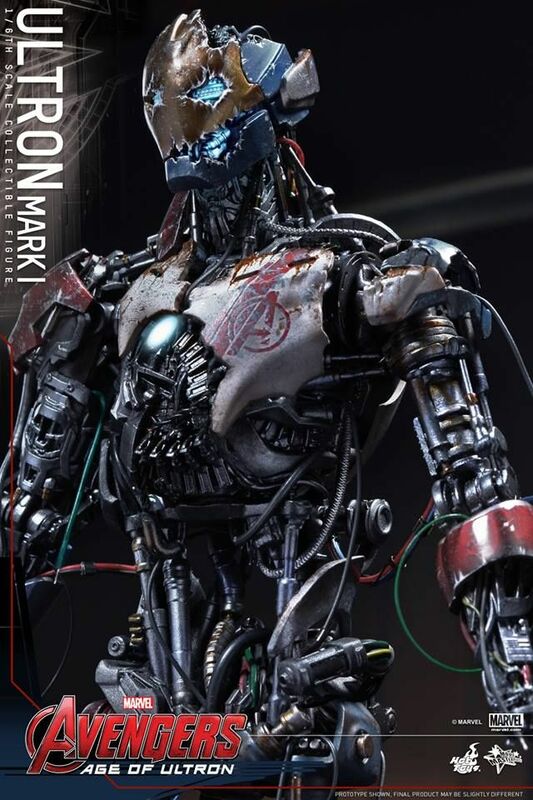 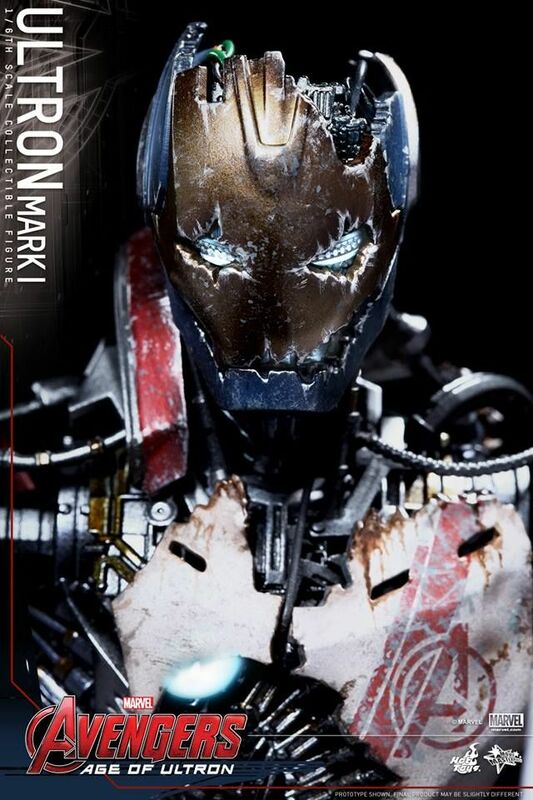 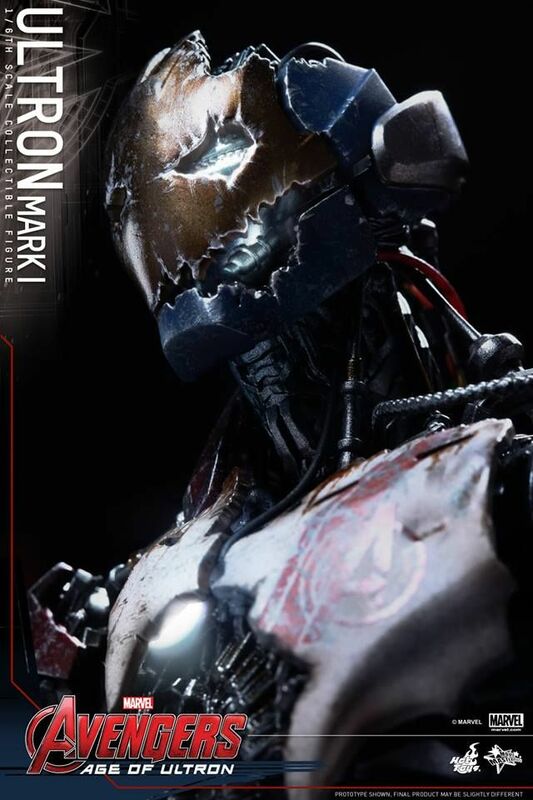 Today, Hot Toys is thrilled to present the Artificial Intelligence that has gone rogue and threaten human existence in the latest movie – the 1/6th scale Ultron Mark I scale Collectible Figure! 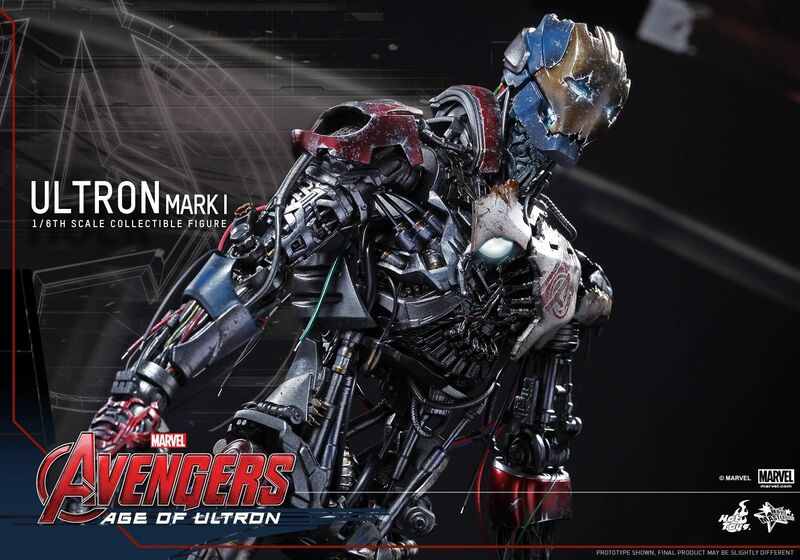 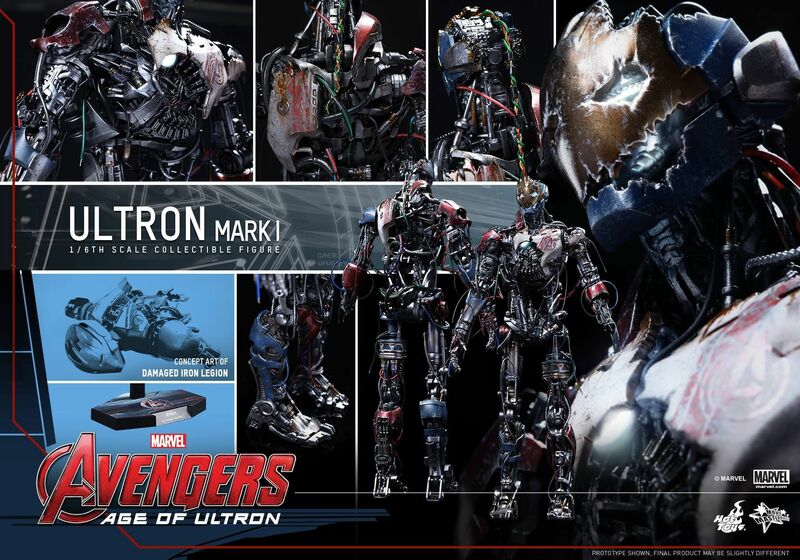 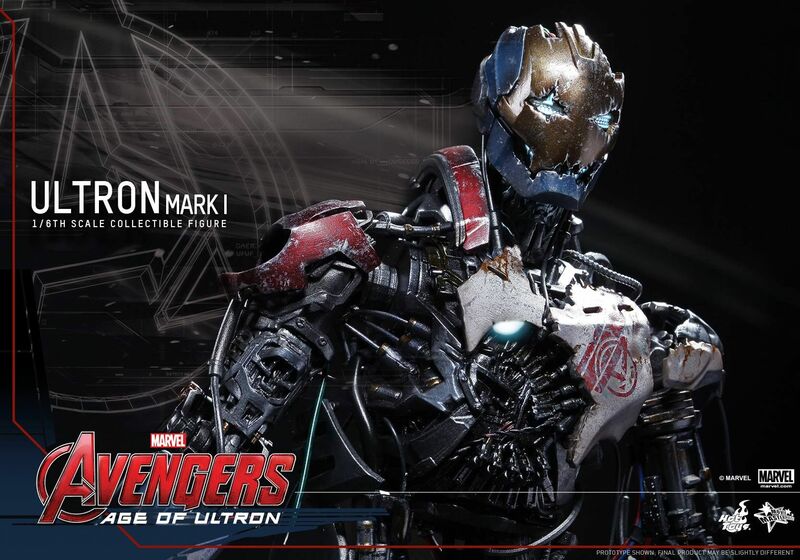 The movie-accurate Collectible Figure is specially crafted based on the image of Ultron Mark I in Avengers: Age of Ultron. 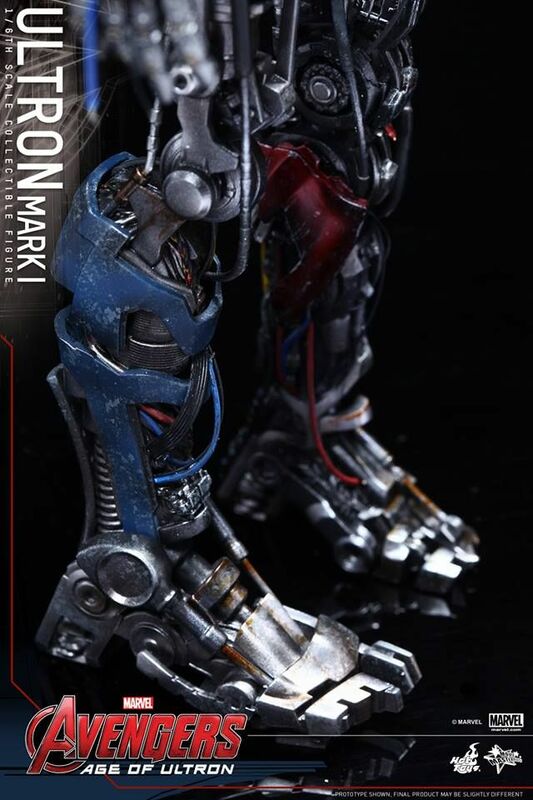 It features a newly developed asymmetrical body with complicated mechanical details and cable wires throughout different parts, LED light-up eyes, mouth, and chest reactor, a damaged Iron Legion as an accessory, and a specially designed figure stand!